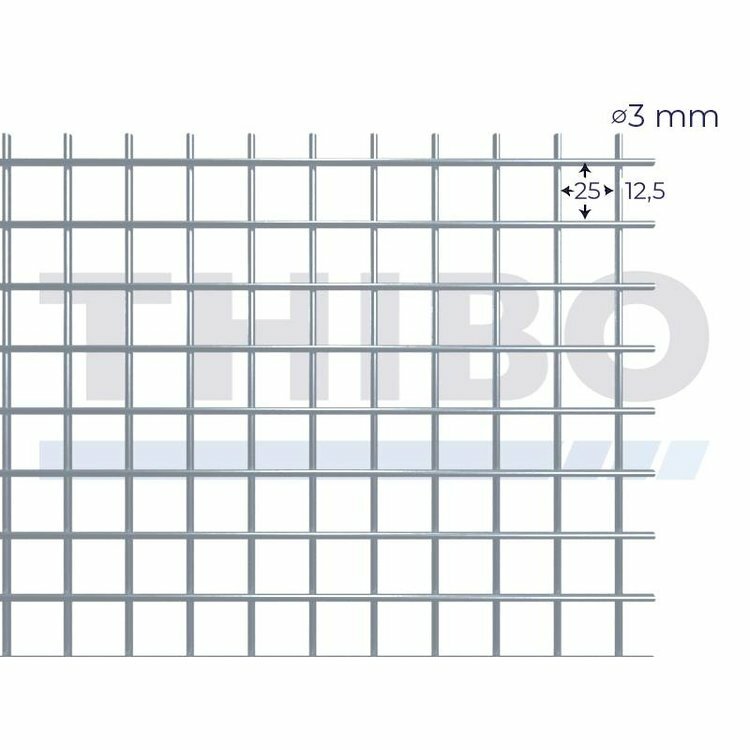 This mesh panel with dimensions of 2000x1000 mm, mesh of 25x25 mm and a wire diameter of 3.0 mm is produced by Thibo Online in-house on fully automatic high-end machines. 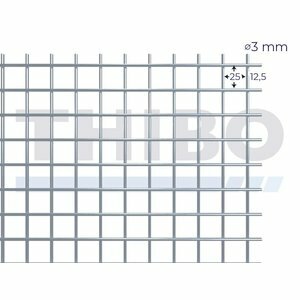 As a result, the mesh panel has minimum tolerances on both dimensions, mesh and wire diameter. Thibo also works with minimal tolerances in terms of flatness. 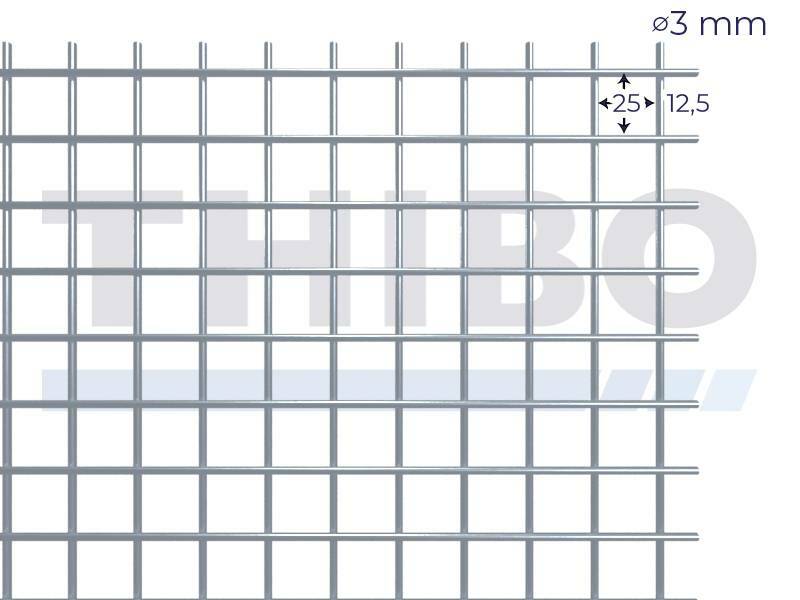 The panel is welded from bright wire and is untreated and therefore not protected against weather influences.